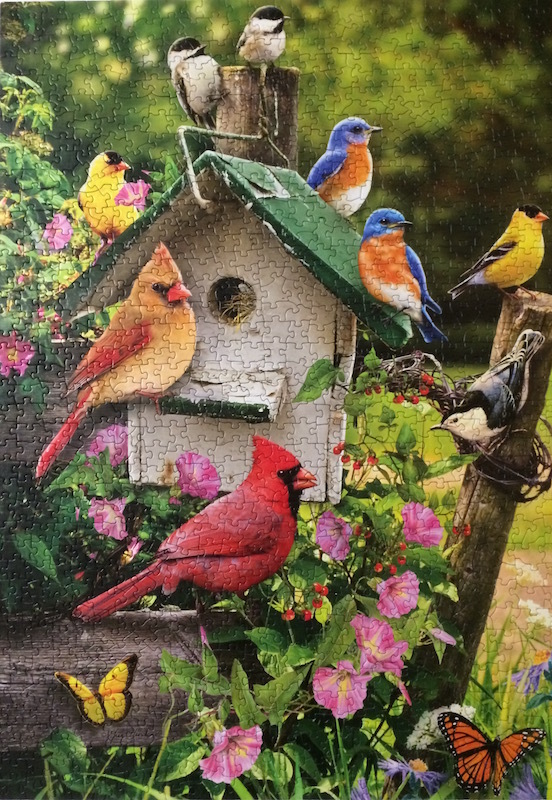 Birds are perfect for Artists AND jigsaw puzzlers. 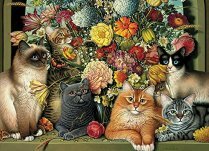 They are colorful, beautiful and are one of nature’s gifts that we never get tired of seeing. 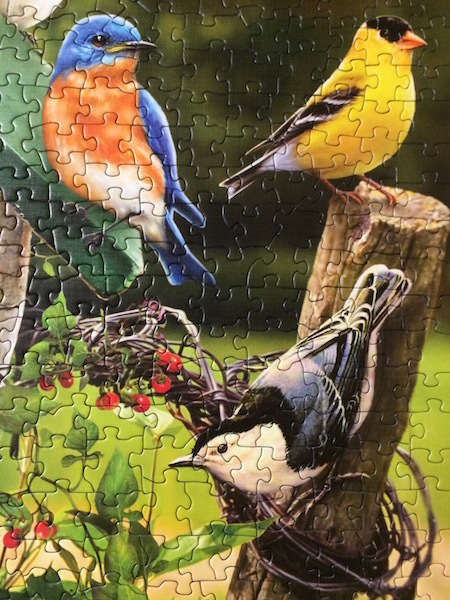 I have seen some AMAZING bird images in photos and in puzzles. 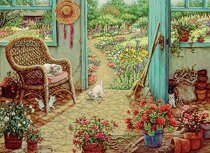 I am always so impressed that Artists have the ability to re-create the same color tones with paint or art tools of the day. I can only dream of having that talent. 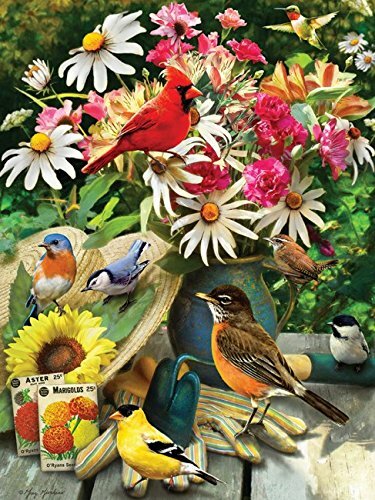 This Summer Birdhouse from the Cobble Hill Puzzle Company has produced a perfect summer jigsaw puzzle for those who like to assemble seasonal puzzles. Look at the perfection of the image. Not often we see this many different birds in one image. I could tell right off the hop this was going to be delightful. 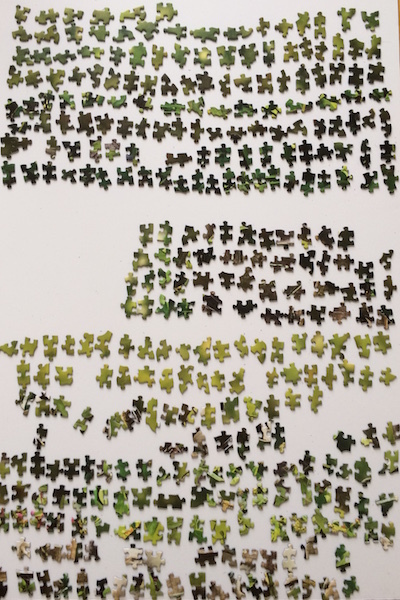 Once again I did my usual procedure of sorting and laying out the pieces. 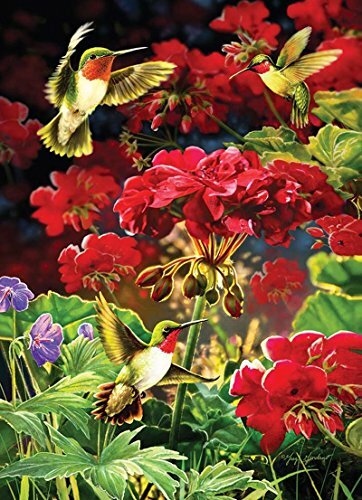 Then I started with the Butterflies at the bottom of the image around the flowers. 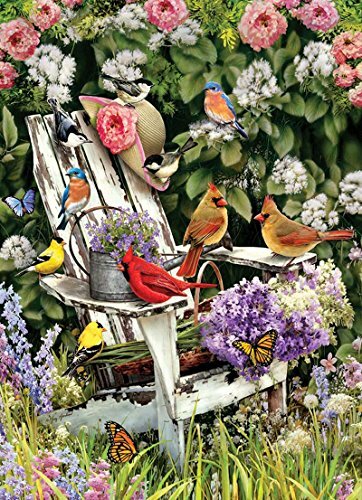 Of course the colorful birds would be next, then the birdhouse among the wood pieces. I saved the green for last as you can see there is a fair amount of pieces. 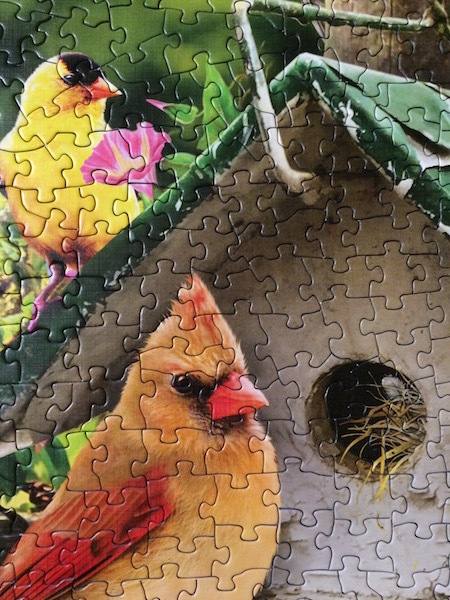 I eliminated the yellow birds first, followed by the red Cardinal then the other one. The Bluebirds and black/white birds were last. 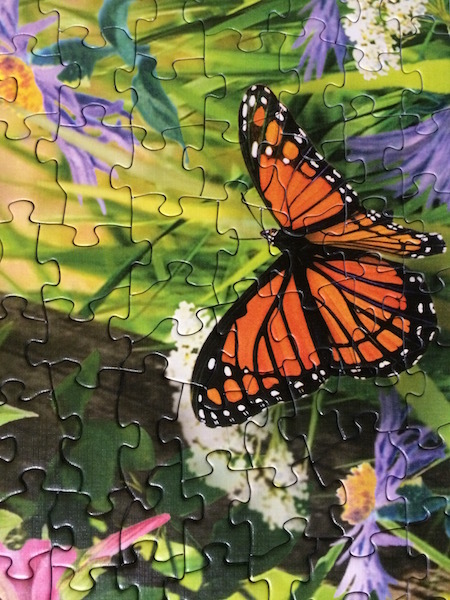 In order to attempt the green, I had to complete as many yellow and pink flowers as possible to determine the shades of greens into the approximate areas. It was a little tricky but in the end I got it of course. It created just the right amount of trickery so as to not be discouraging. This one went pretty quick – only about 10 hours. 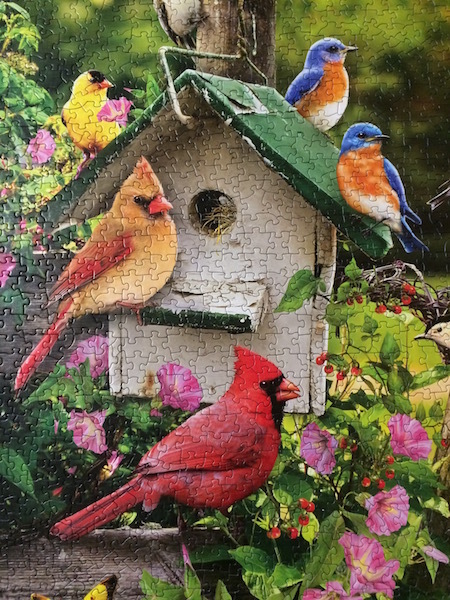 Not as fast as some 1000 piece Puzzlers but pretty good for me. 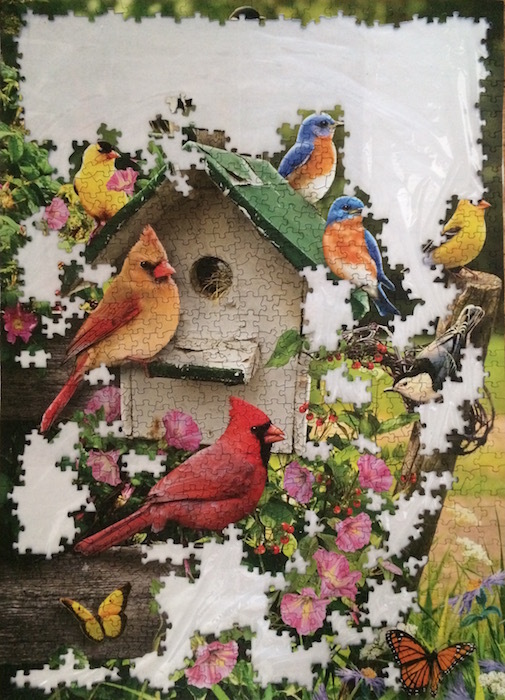 I am not a fast puzzler even if I try. 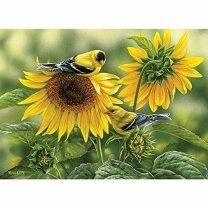 Take a look at some of the close up images to see the individual birds and enjoy the beautiful colors. 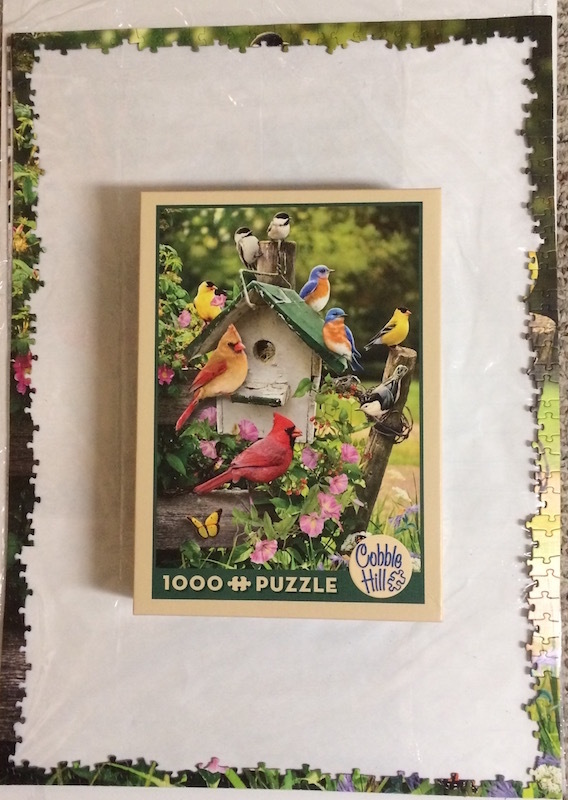 Note that the Brand is of the great quality that Cobble Hill Puzzle Company uses. The pieces are cut into random shapes and some are quite small so you will want to be mindful of that too. 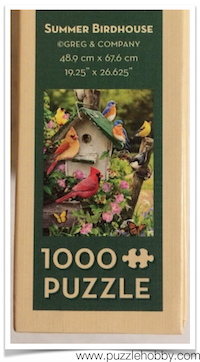 I highly recommend this one to the puzzler who is looking for a relaxing experience on a warm summer day.